Title: Economic Circular Flow. Everyday expenditure is determined by the current treads on the economic status of a country. The prices of commodities has been influenced greatly by the prices treads of the energy generating fuels such the prices of the petroleum products. In addition the economic stability of a country is another key factors that determine the prices. For example in a country that is experiencing inflation, the prices of most commodities are relatively high, a fact that is contributed by poor performances in exchange rate earnings. In most cases, the interest rates are mostly determined by the central bank. They are used as the main monetary tool that is used by policy makers and the economist to control the supply of money in the economy thus regulating the inflation rate in the economy. The central bank is there to issue loans to the commercial banks so that they can circulate the money to the citizens. In addition the commercial bank gives the commercial banks the directives on the minimum rate at which they are going to lend their customers. Therefore the federal system is the main determinant of the interest rate irrespective of the market forces on demand and supply of money. Basically interest rate are use as incentive as well as disincentives to the people willing to take loans from any commercial banks. As an incentive, the commercial banks well give out loans at an affordable interest rate that will attract many business and other people willing to take a loan. This will increase the aggregate money supply in the economy. This is commonly used in case an economic stimulus is necessary. On the other had high interest rates discourages business taking loans. The action leads to reduced business transactions and hence less amount of money circulation in the economy. The action is used during the period of inflation. When the interest rates are high, the prices of commodities are also relatively high, the consequence is high cost of financing the loans. For this reason people tend to purchase commodities that are of lower prices, this is always subject to quality. During my purchased the interest rate were lower therefore the price of my vehicle was relatively low. At the period the interest rate was about 14% compounded on reducing balance. The price of gasoline was relatively lower compared to the previous prices. In every economy the prices of the petroleum products greatly influence the prices of other commodities. This is due to the transportation of commodities from the area of manufacturing to the market. Lower prices of gasoline in during the time of the purchase therefore ensured that the prices were lower and affordable. The prices for the crude oil and other related products were also low. Therefore even the maintenance of the vehicle was cheaper. When I made my purchase the prices of gasoline were dropping which was an implication that the future prices are going to be lower. This was just a prediction that is always necessary thing to do before buying any consumable good. Securing a loan requires collateral and other securities. Most banks will. Always give loans to individual who after a careful appraisal shows the ability to pay the loan. In addition to this banks prefer giving loans to the people who are employed or business people who show to have a sustainable businesses that can be able to finance the acquired loan. I went for a loan after I was employed having considered all the above factors. These are the once that led to a successful loan application. During the recession period the economy is characterized by high inflation rate meaning that the prices of most commodities are considerably high. During the purchase the interest rates were lower a probable recession times. The lower interest rates in the commercial banks were to encourage more people to take loans. This is a move that facilitates the increment in the supply of money circulation in the economy. In addition to this reduced interest rate facilitates more investors to borrow loans to set up more investments. This action is there to improve the production business cycle that improve the production of an economy. During recession period there are chance of unemployment and therefore it’s risky to take a loan during the period. However when taking a loan it is important to reconsider other sources of income that can fund the loan once the source of income is suddenly withdrawn. Before making my decision on whether to take the loan or not I had considered other factors that will finance my loan in case of such uncertainty. Due to the great recession of 2008 that the country realized its impact the government is still operating on with the fiscal expansionary policy measures despite of the deficit that the country was experiencing. Fiscal policies involved reduction on taxes and adjustments on government expenditures. The tax relieve lowered the prices of the vehicles greatly which gave me a good opportunity to purchase a good Car of my choice. In addition the international monetary fund study had realized a possibility of positive multiplier effect on the expansionary fiscal policies that had been set. The effect was subjected unemployment and future output. More output and employment implied better future of the economy. These were encouragement to the foreign and local investors, consequently there were prospects of high future productivity. This gave me a prediction that there is a larger probability of retaining my source of income as well as creation of more sources that will cater for the maintenance and financing my loan. The united state environmental protection agency has been trying over the years to fight the environmental pollution has been a problem in our cities and towns. One of their effort is to encourage the vehicles and other fuel users to purchase machines that are fuel saving and those that operate with complete combustion of fuel to minimize the release of carbon monoxide to the environment. These efforts should not be ignored as the implication on pollution is both health and economic problems, a fact that a well productive economy is composed of healthy people. For this reason I had to choose a simple vehicle that has low fuel consumption capacity. The emissions such as carbon dioxide causes acid rain that has adverse effects on metallic structures which most of our houses and other structures are made of. In addition there is adverse effect on agriculture which is one of the source of raw materials for our industries. The emissions also may cause diseases after inhaling these poisonous diseases. This consequently minimizes the production level of the nationals and hence lower GDP. 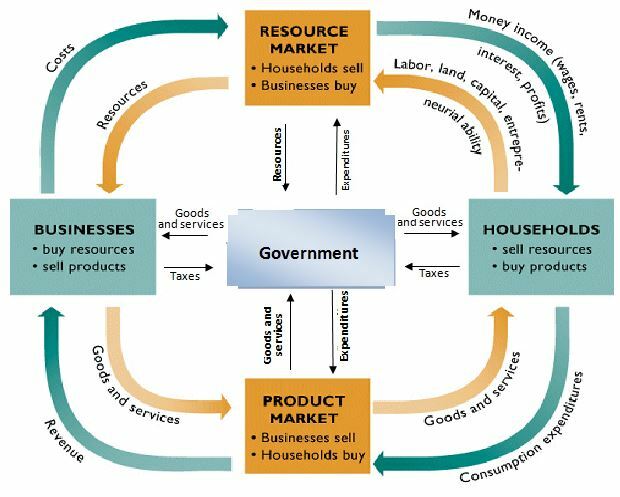 Basically the circular flow model is made up of two sectors which determine income output and expenditure. Equilibrium state is arrived at when the tendency of income levels, expenditure and output does not exist. This is an implication that income, output and expenditure are equal. The buyer expenditure in this case becomes the sellers’ income. The income gained from sale of their product is also spent to pay for other factors of production. During the processes, there is transfer of income to the owners of these factors. These expenditures consequently leads to the circular flow of payments. For many years the position of the circular flow economy has greatly influenced the prices. This is due to the monetary and fiscal policies that an economy takes either to control inflation or to correct a recession. Introduction of injections and stimulus of the economy also influence the expenditure. When the interest rate are high the money in circulation is reduced thus most consumers will have little money to consume. In addition due to uncertainty people will tend to hold money due to fears of the deflation and recession. Uncertainty about future tend to influence people to either hold money or use money in making future investment. If you enjoyed reading this post on economic circular flow, I would be very grateful if you could help spread this knowledge by emailing this post to a friend, or sharing it on Twitter or Facebook. Thank you.